Classic: Brownie Biscotti - Day 8 - THE OLIVE BLOGGER - Recipes your family will love! Ooo time for another favorite from my Cookie Vault!!! These Brownie “Biscotti” are so incredibly easy to make and will satisfy any chocolate lover. While the name may trick you, these cookies don’t require multiple flips and turns in the oven and are actually soft and ooey on the inside, loaded with chocolate and pecans…simply delicious! This is one classic cookie I promise you will make year after year, and if you want a recommendation...make a double or even triple batch as everyone loves this Brownie Biscotti and it will be the first cookie gone from your trays! 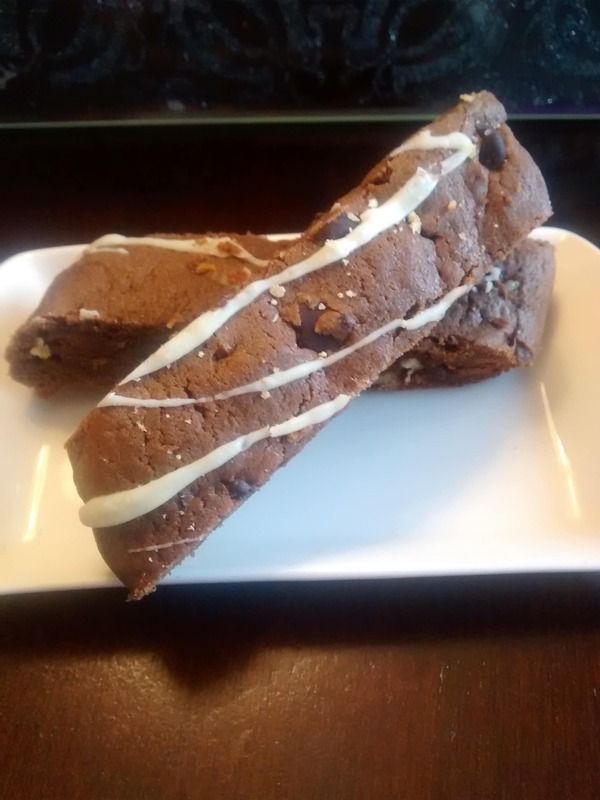 click here for the full recipe for this brownie biscotti!! !